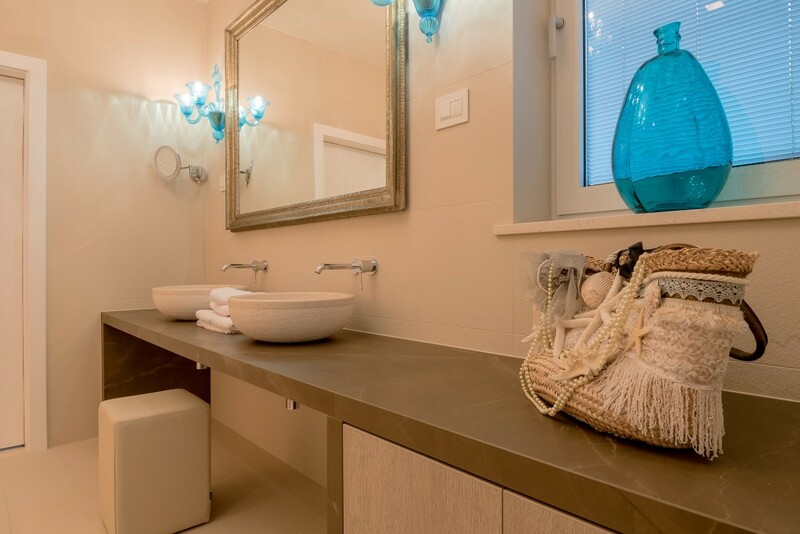 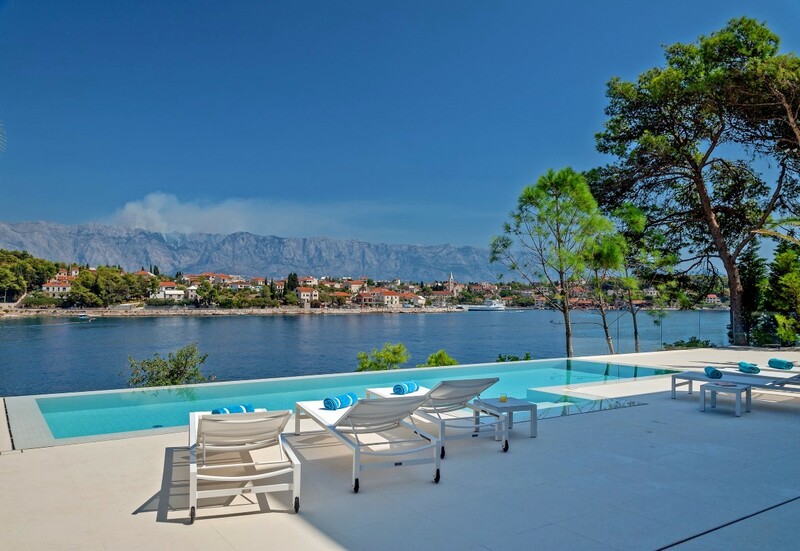 Welcome to the luxury waterfront villa Mila with amazing elegance and stunning views of the Adriatic Coast creating an exquisite ambience of luxurious privacy. 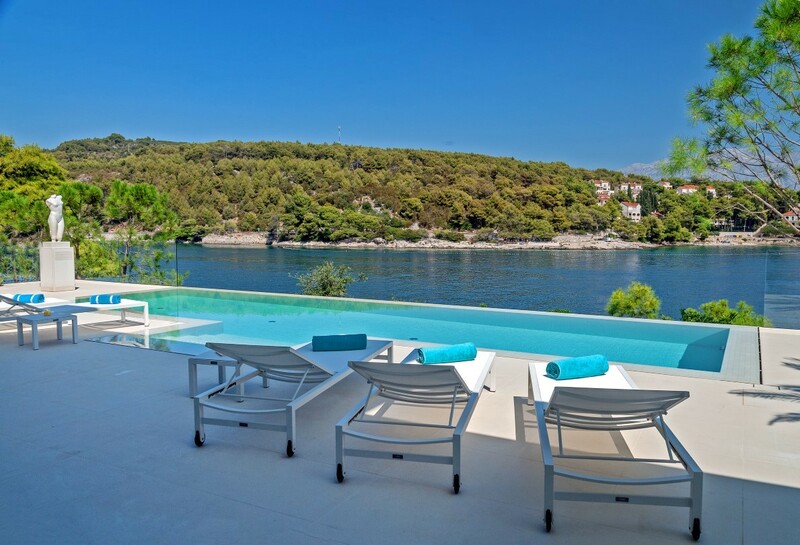 Villa Mila is a breath-taking decorated villa located in the small fishing town of Sumartin on the Croatian island Brač. 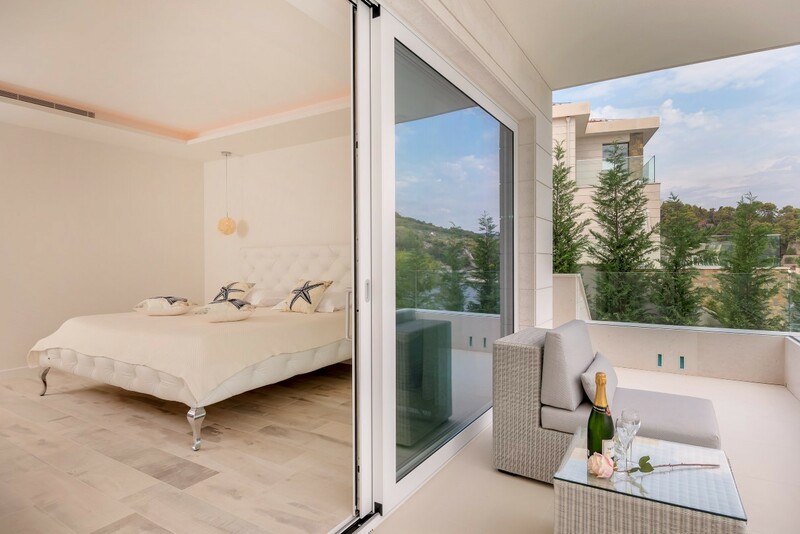 It is very spacious with 550 square meters of living area and 820 square meters of surrounding area, and its landscape is professionally tended and full of endemic flora. 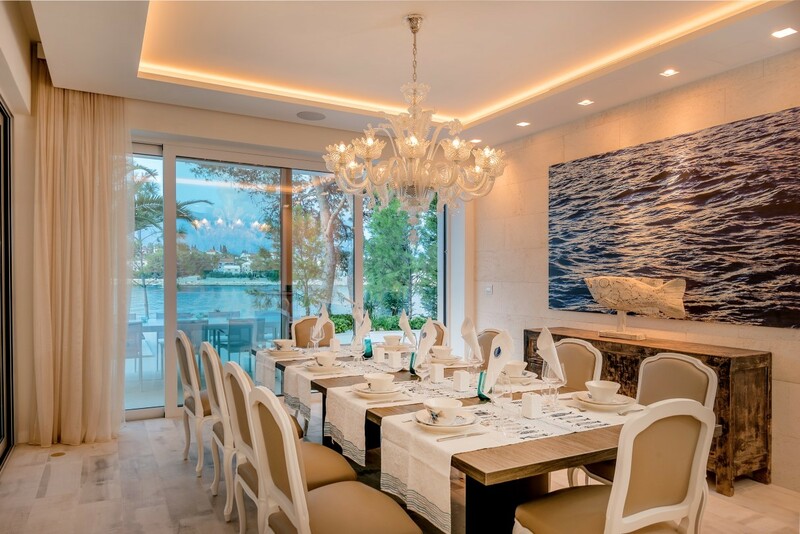 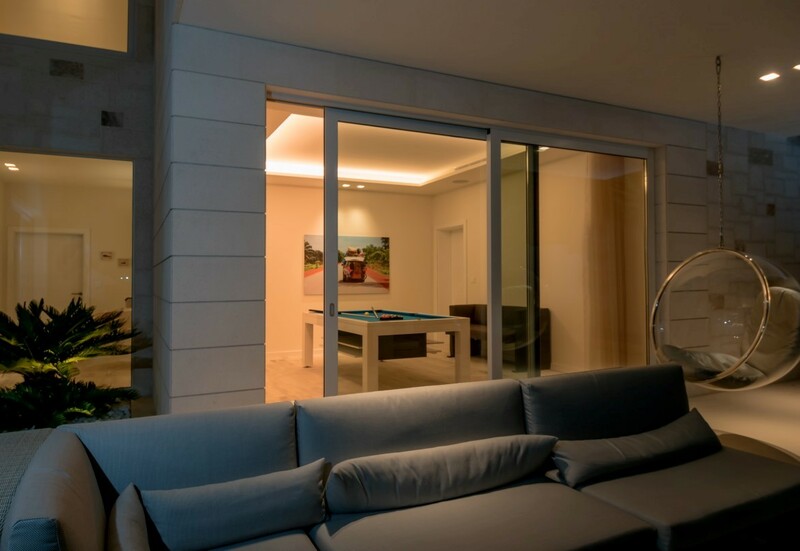 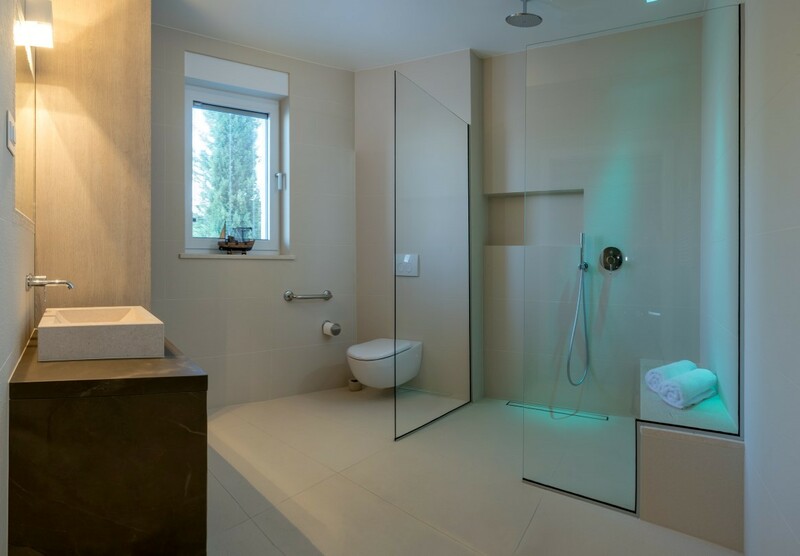 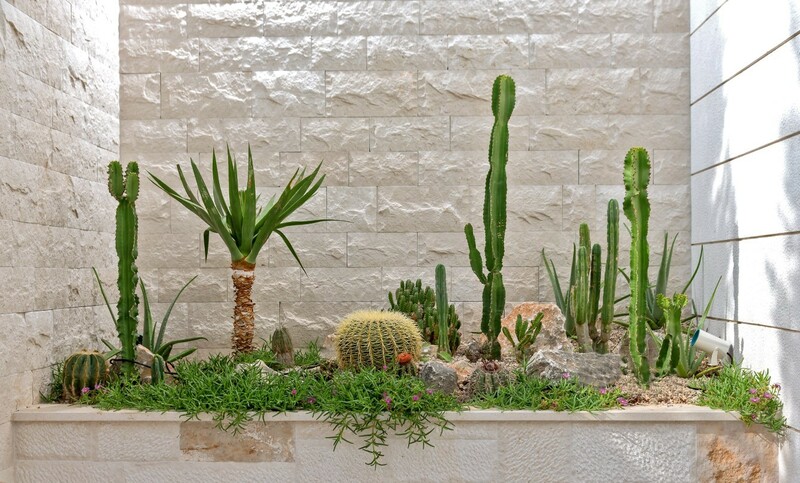 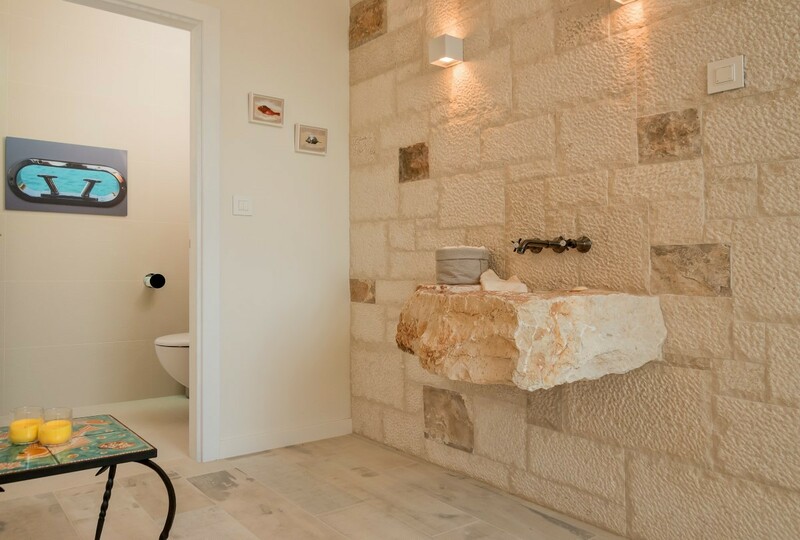 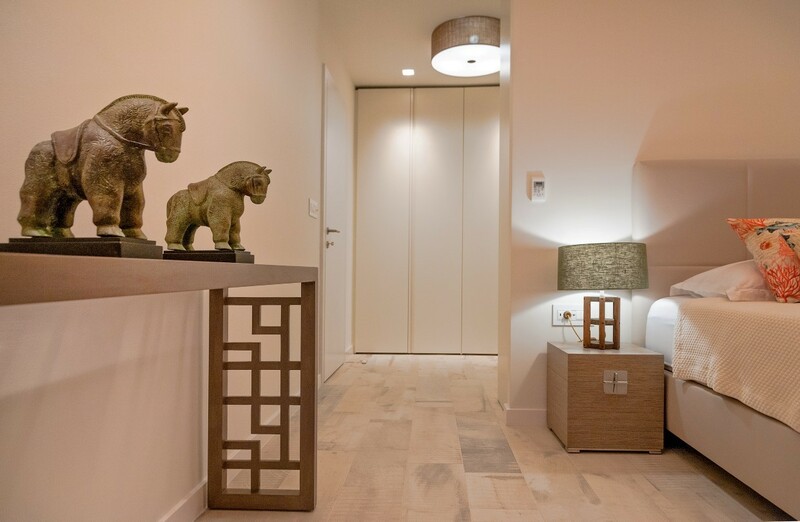 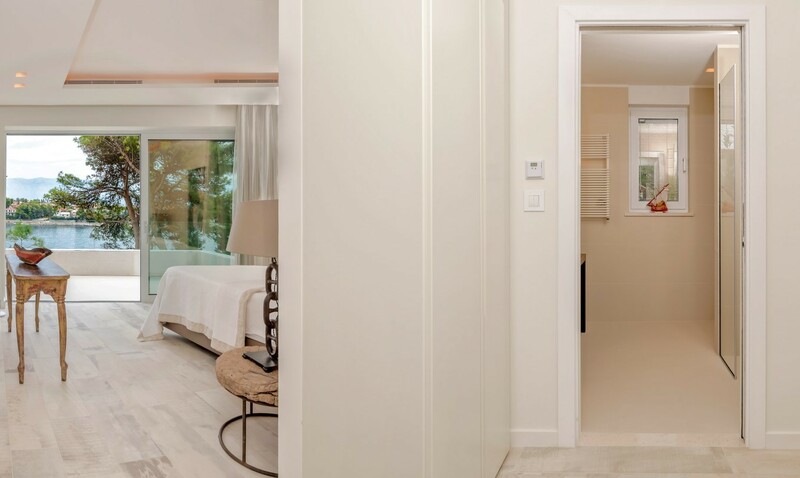 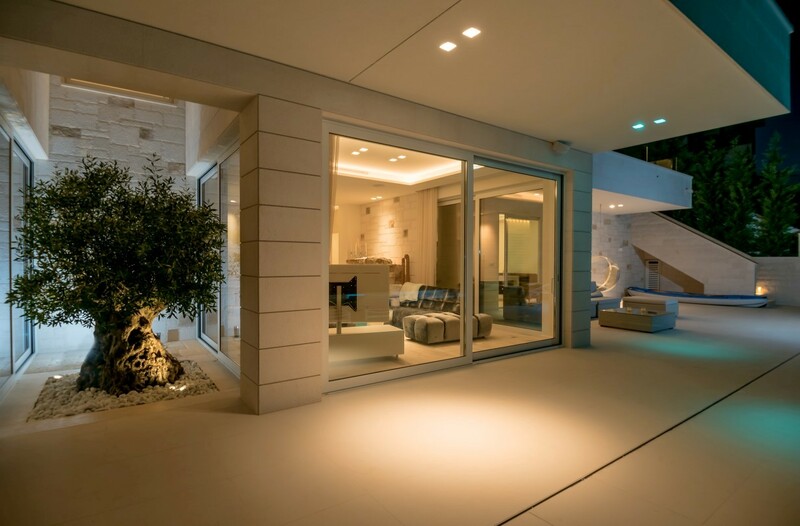 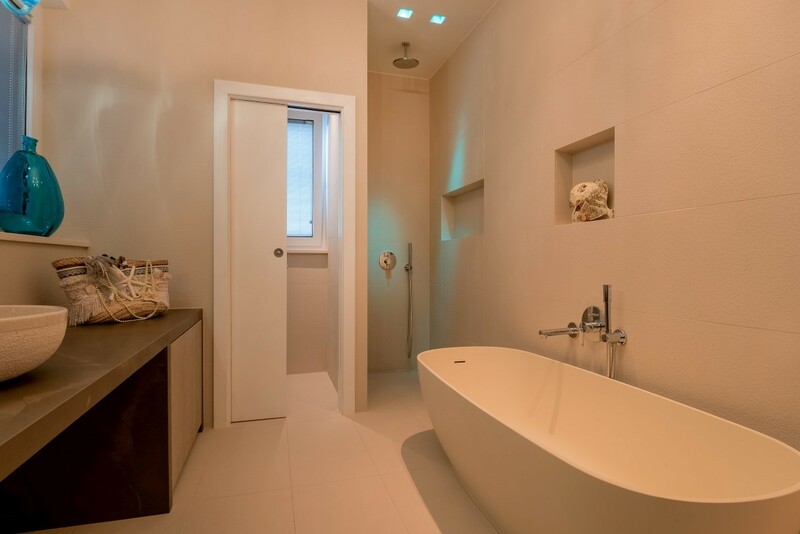 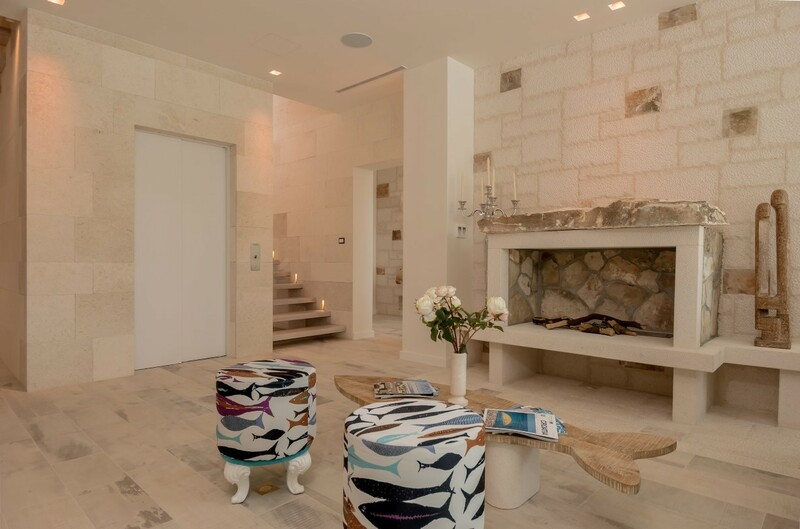 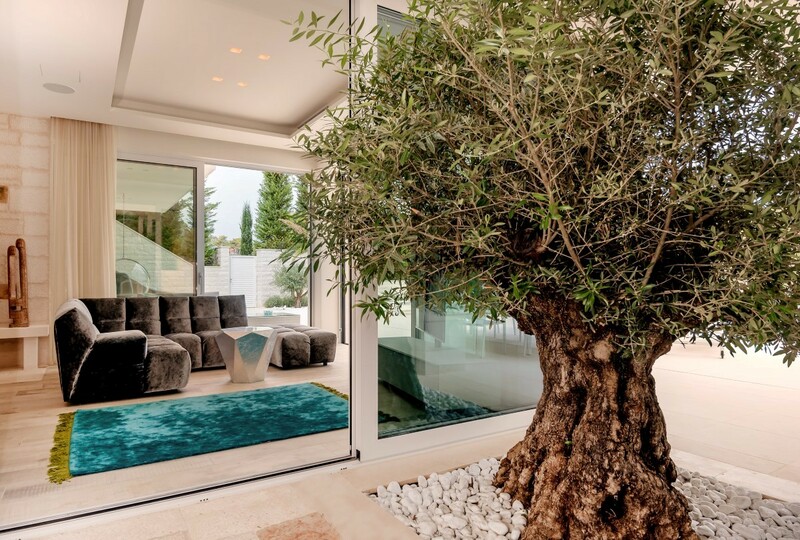 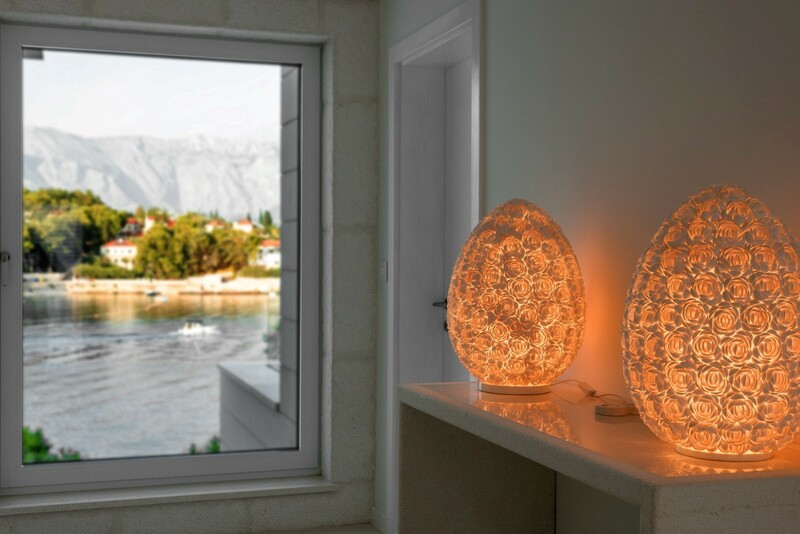 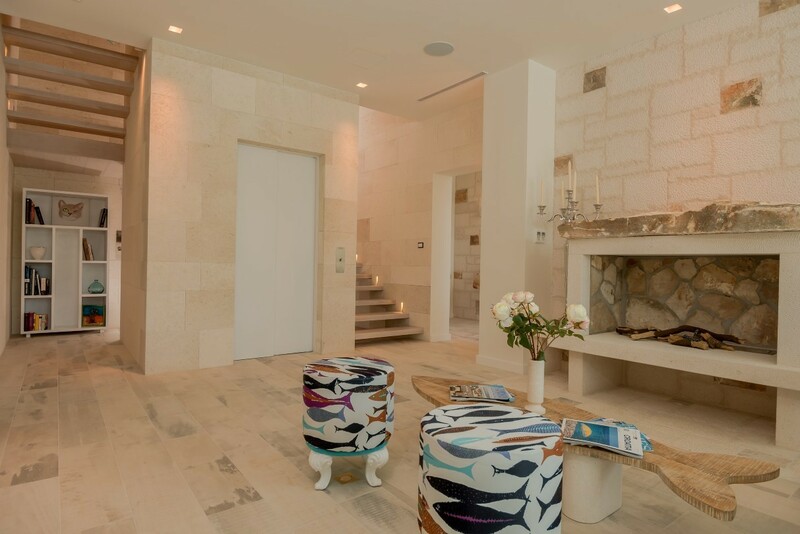 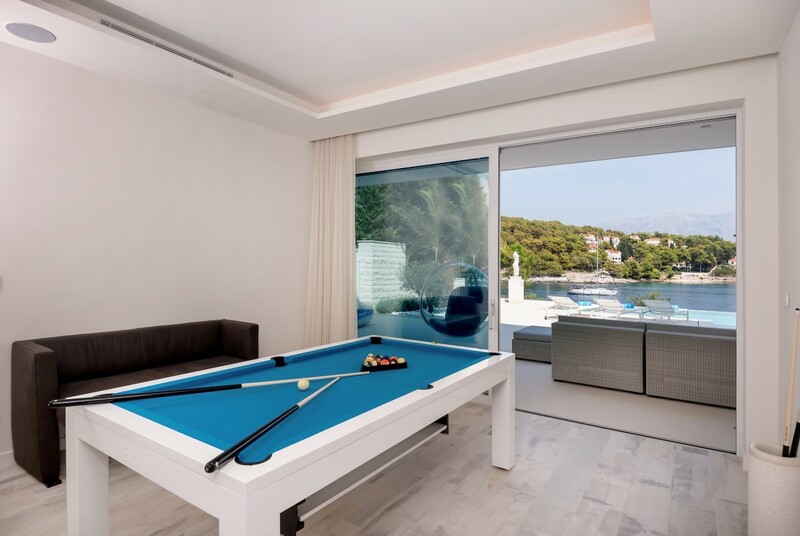 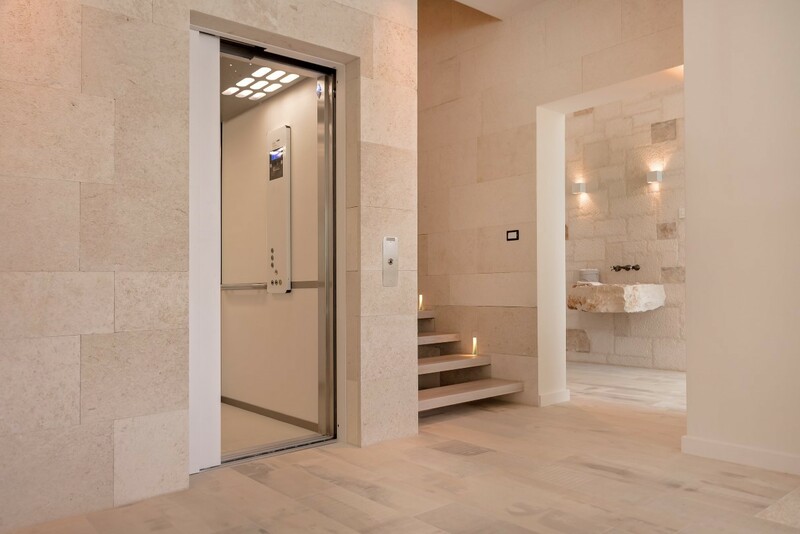 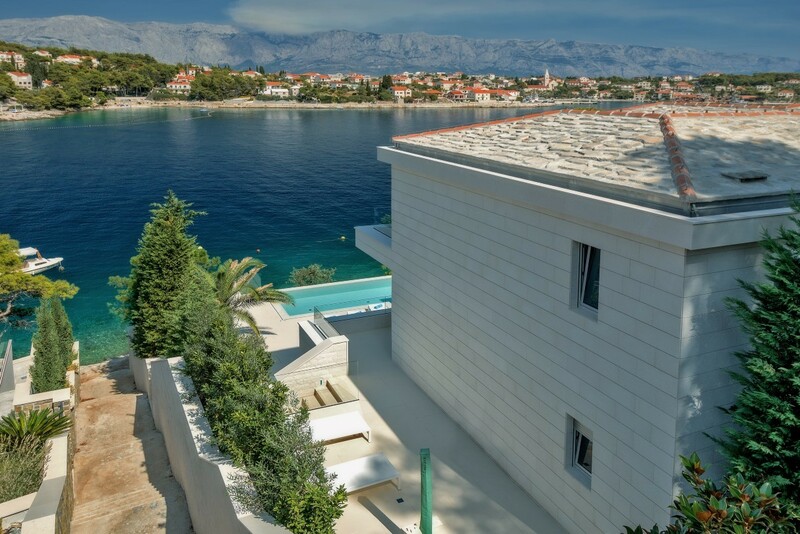 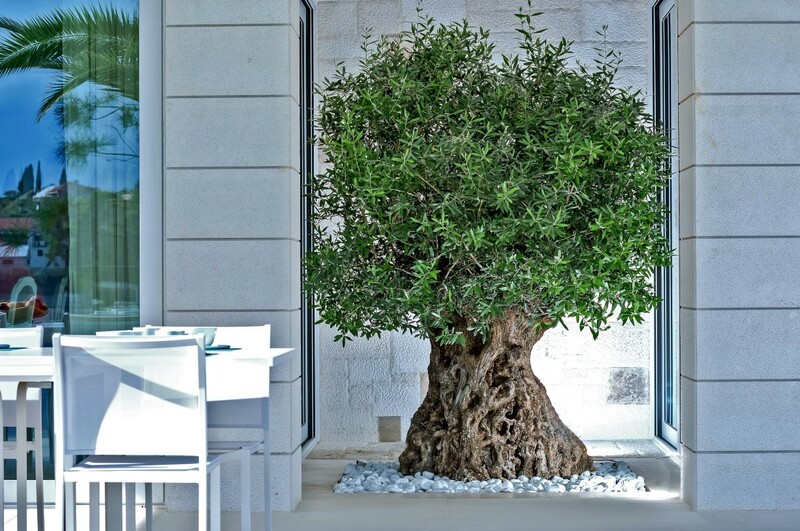 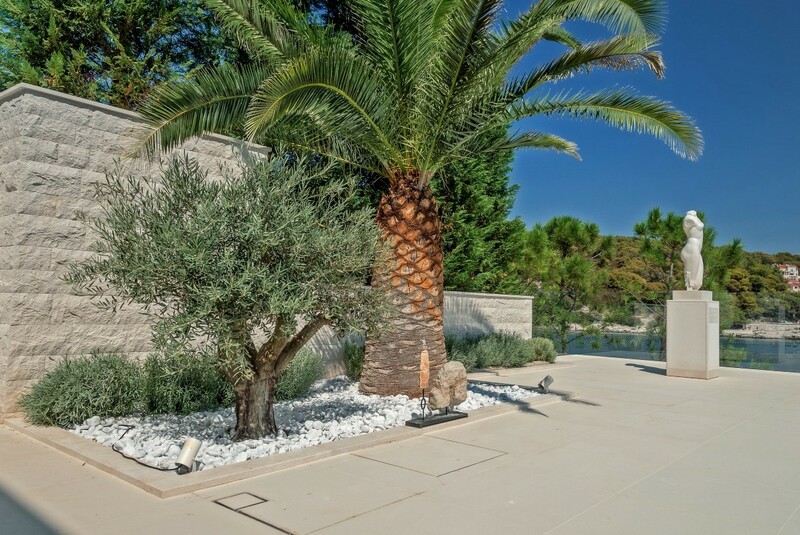 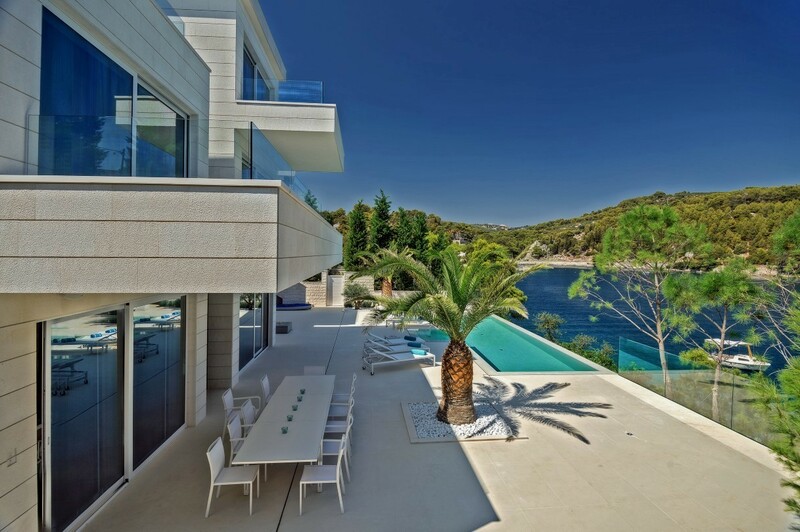 The modern villa is completely built with the famous Brač stone, which also made its way into the construction of The White House in Washington DC. 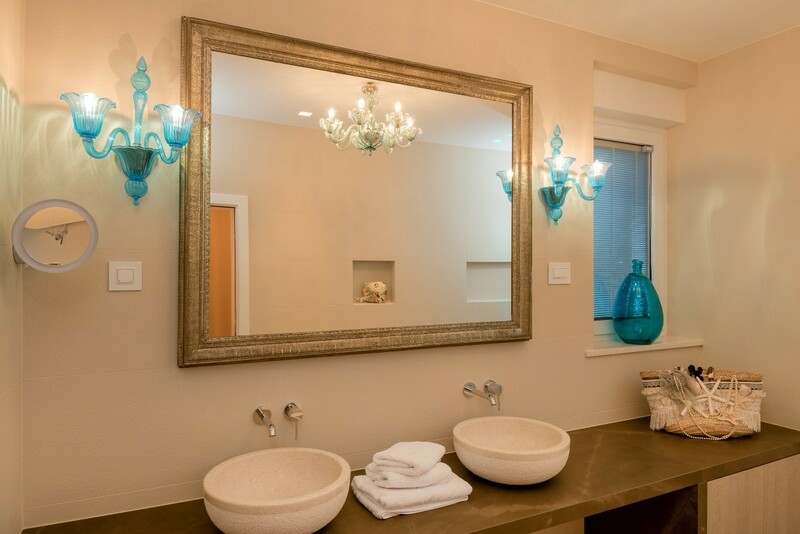 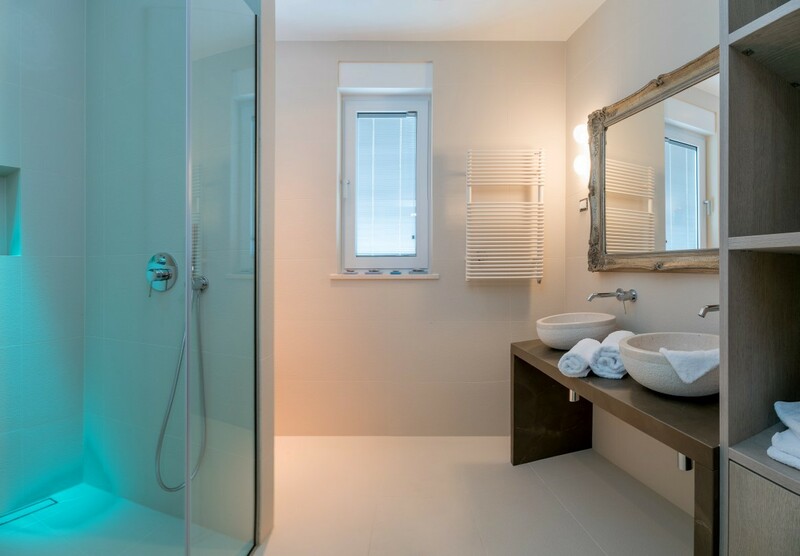 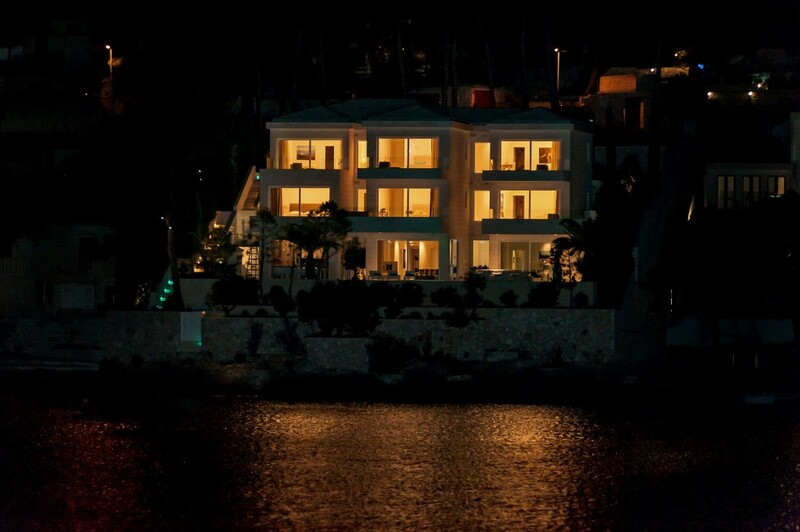 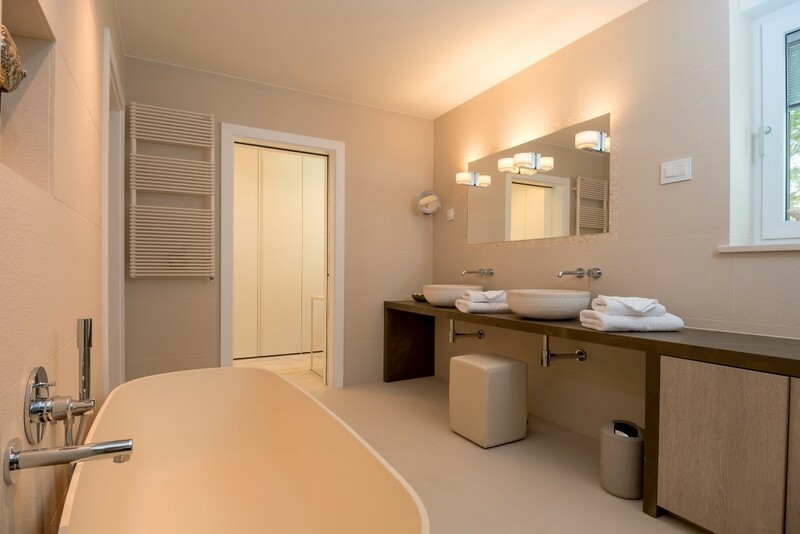 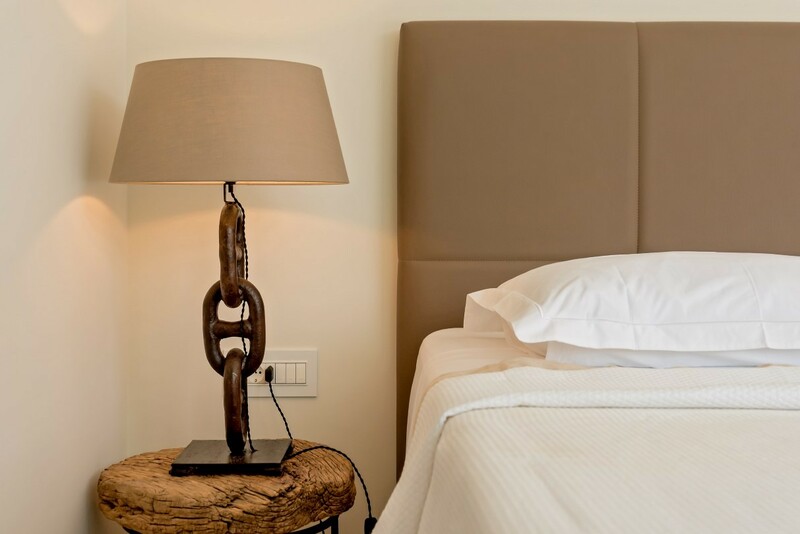 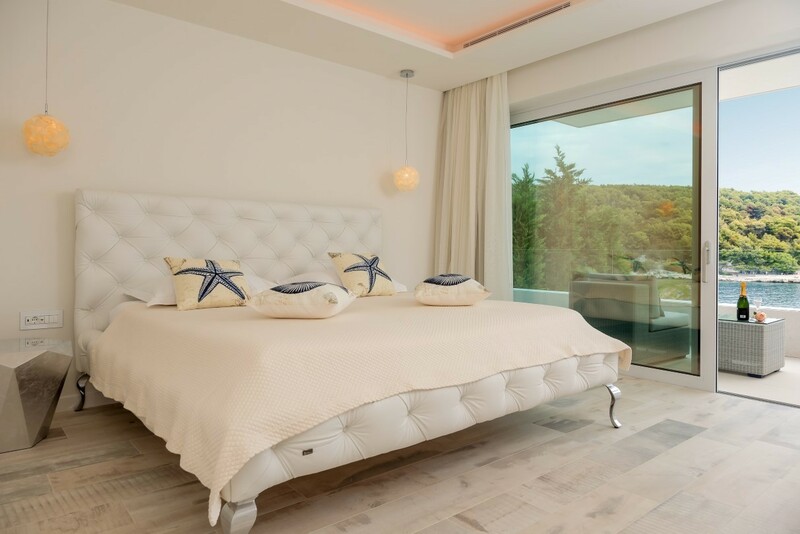 The villa can accommodate up to 12 guests in 6 stylish bedrooms with one special room for disabled people and 7 bathrooms. 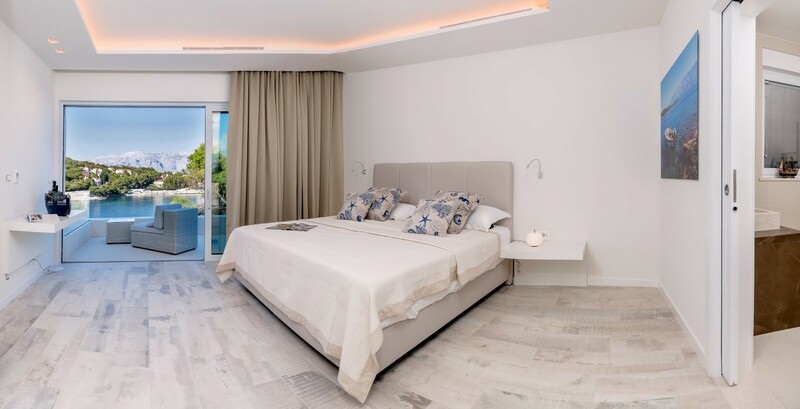 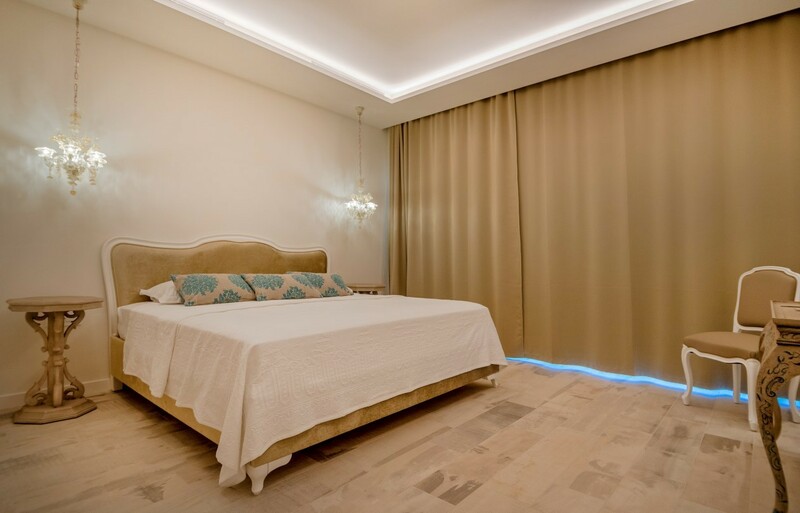 Every bedroom room was thoughtfully designed in its own unique style. 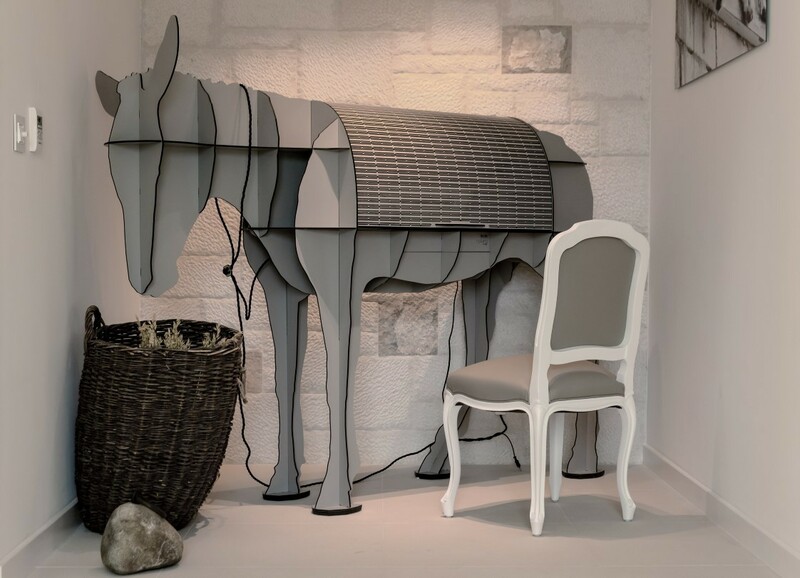 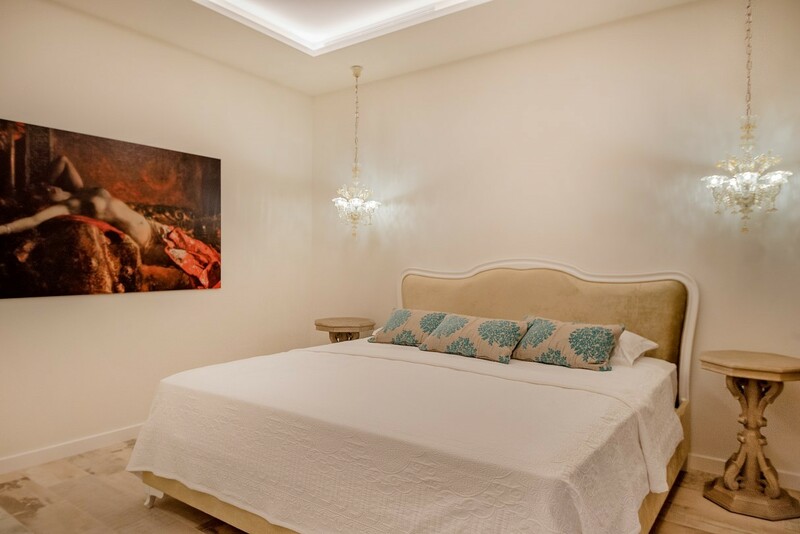 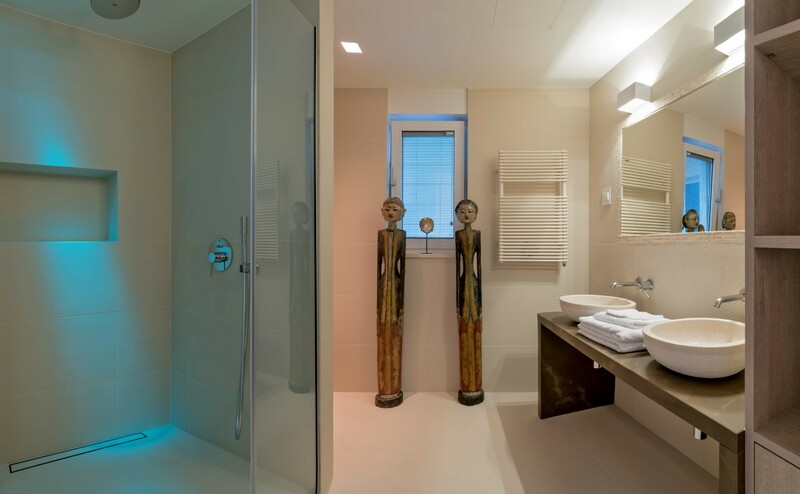 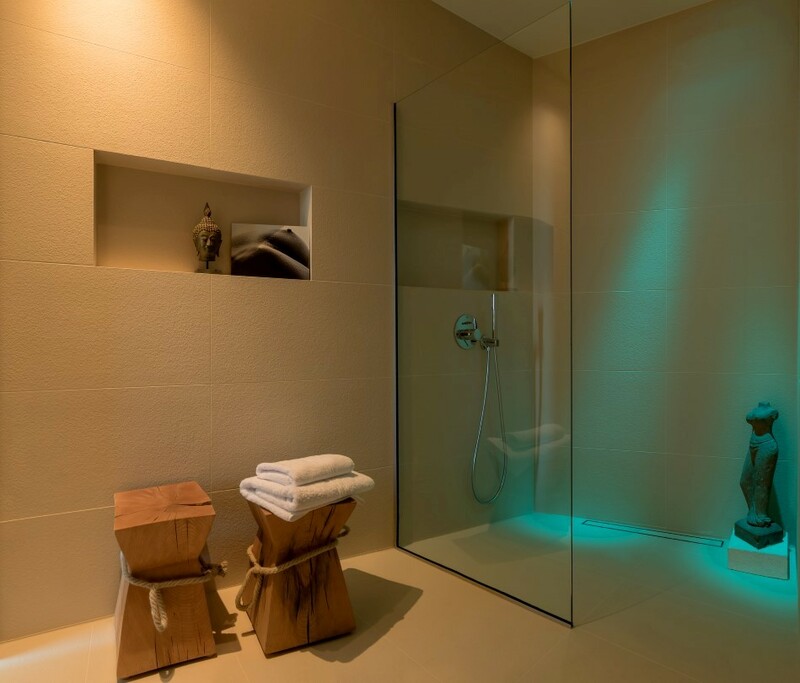 Its decoration features state-of-the-art quality materials and artwork from all over the world, and the lighting was designed by a famous specialist from Munich. 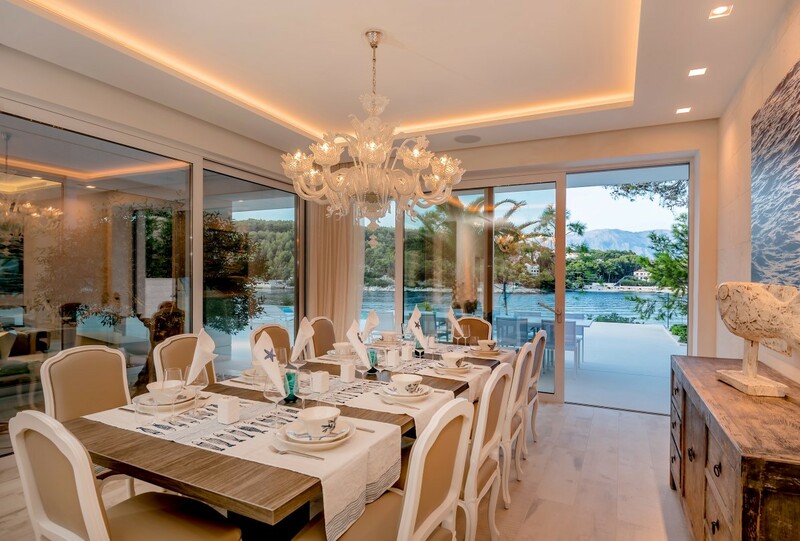 Guests can enjoy long nights drinking wine together in the living room or feasting at the elegant dining table. 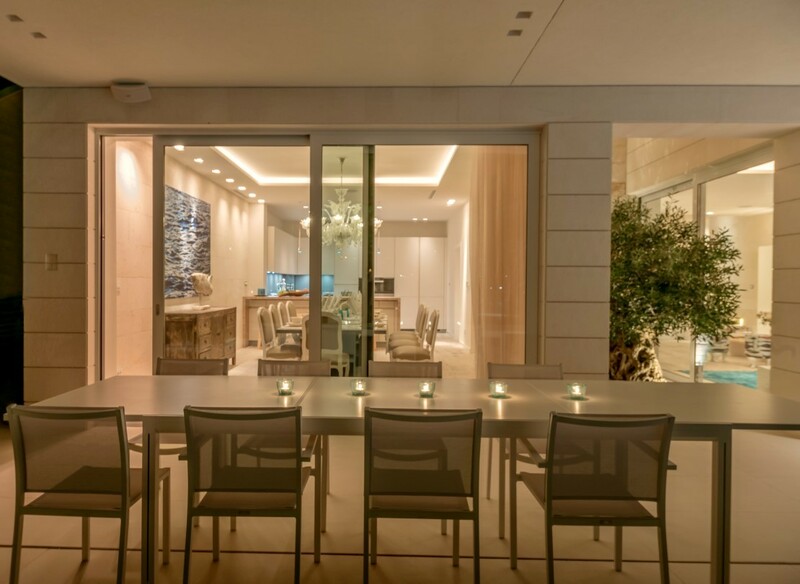 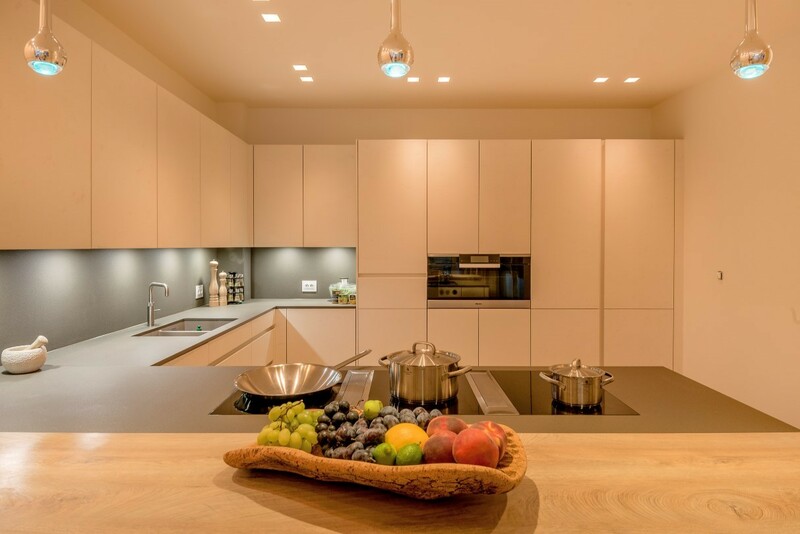 The fully equipped kitchen with beautiful tile counters and easy access to both the indoor and alfresco dining area is perfect for passionate chefs among guests. 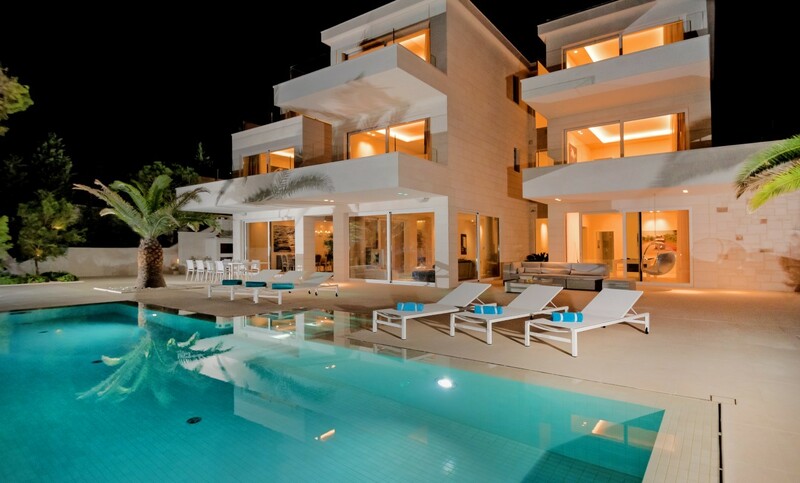 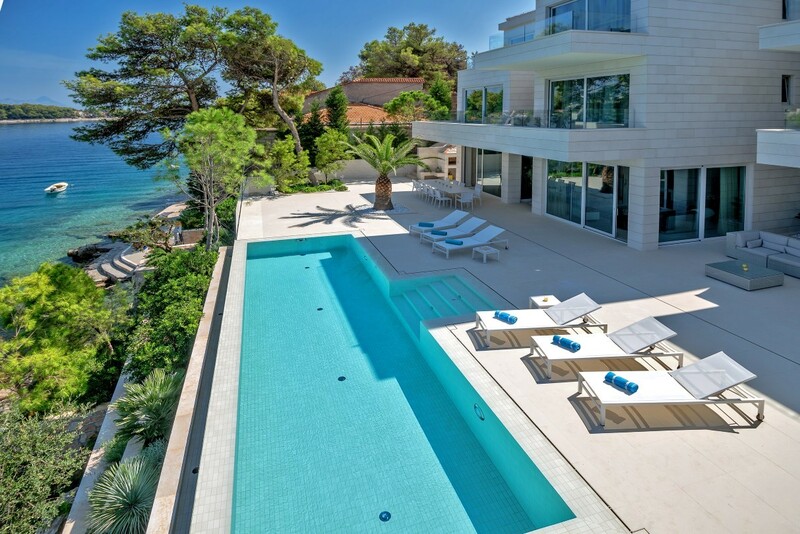 Villa Mila features spectacular views of the sea and the coastline from its outdoor terraces and balconies. 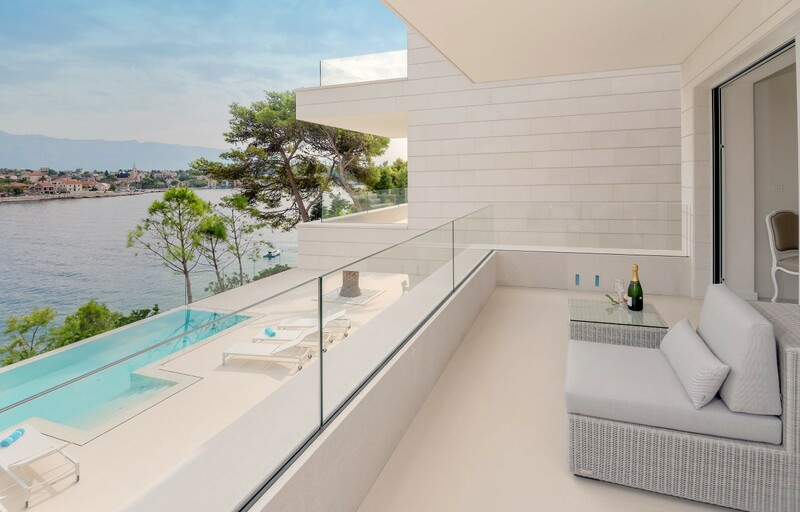 Guests can prepare cocktails on a large terrace with 11 meter long infinity edge pool. 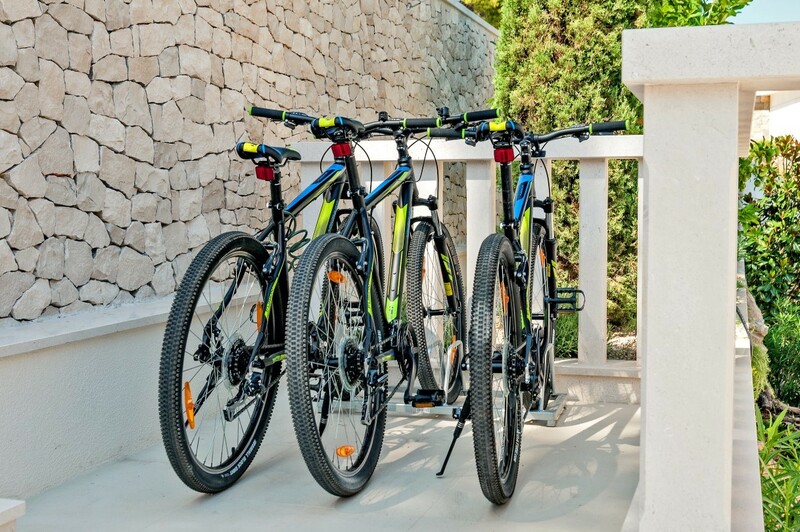 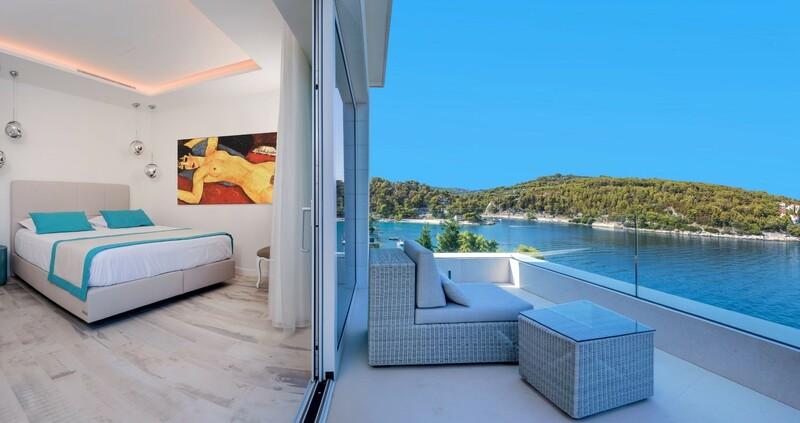 The view of the Sumartin bay and the Biokovo mountains is priceless from all three levels. 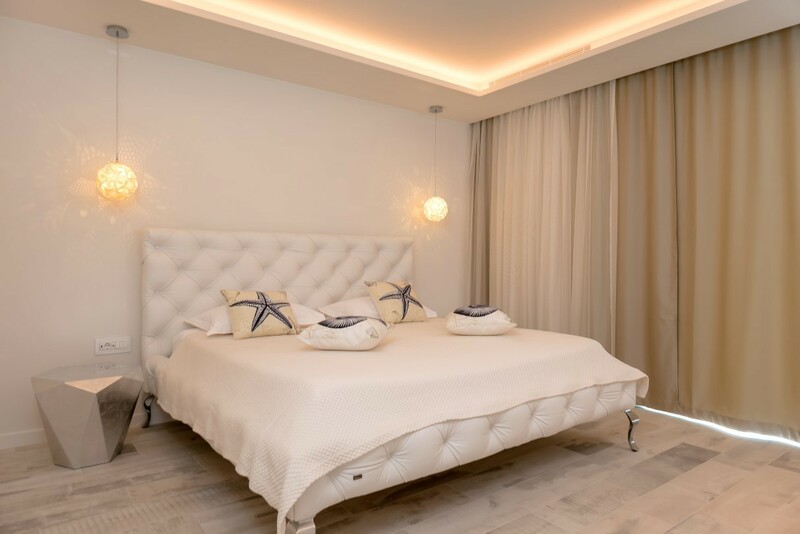 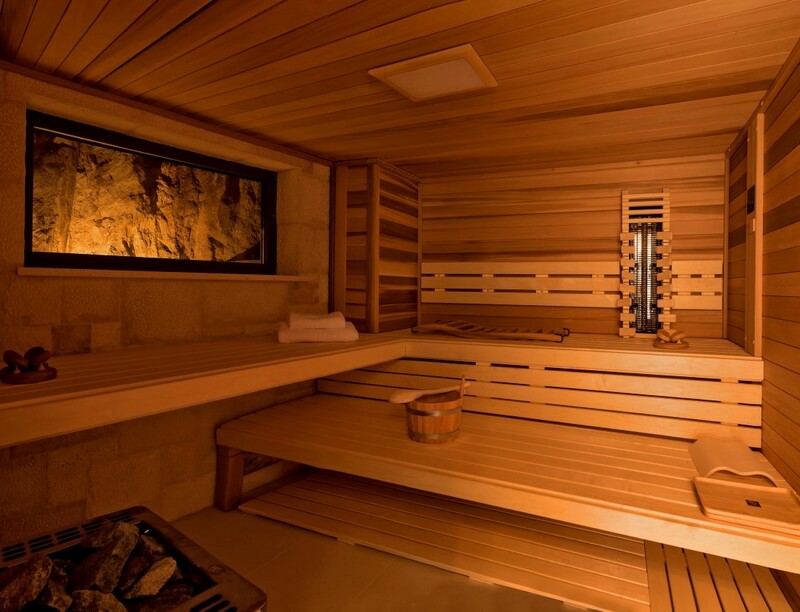 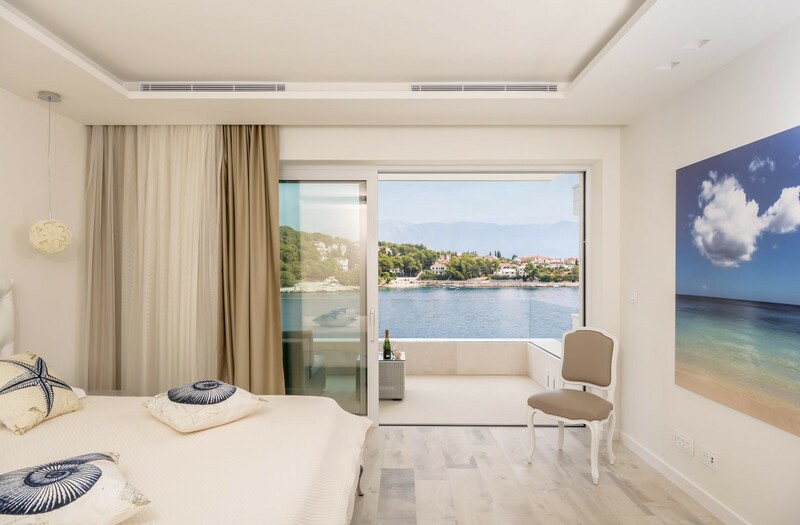 It also features a private parking and garage, elevator, a sauna, gym area, private jetty and a yacht dock, as well its own staff: maids and a concierge who speaks 3 languages and other services (private chef, massage, yoga session, day trips, and transport by car) can be booked upon request with extra charge. 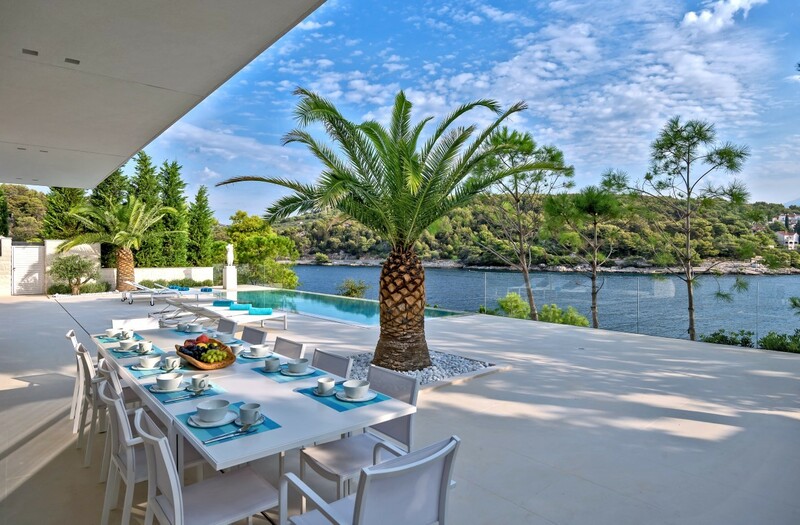 Everything you might need is close by in villages around Sumartin, including restaurants, cafes and bars, shops, fish market and everything else you might need during your vacation in this magnificent 5 star villa. 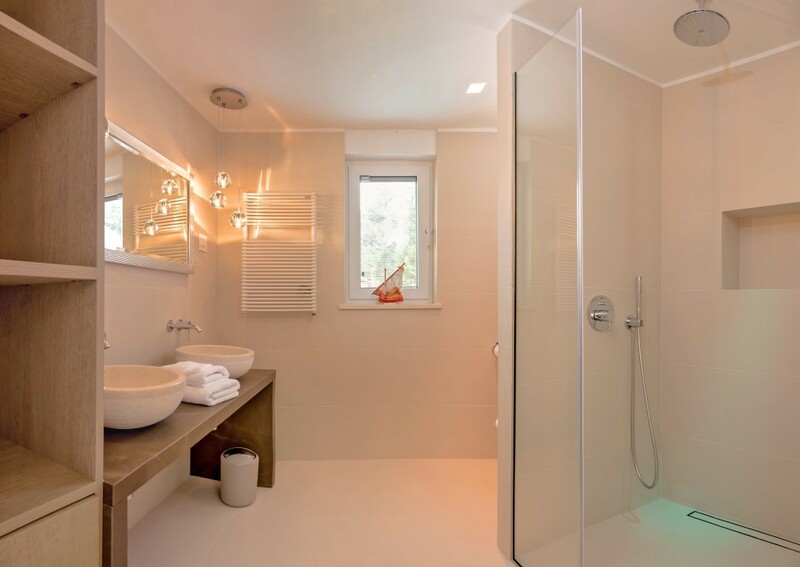 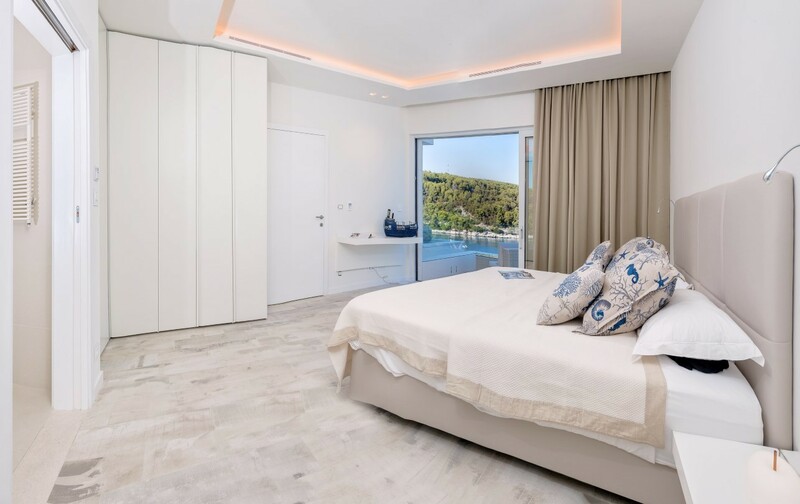 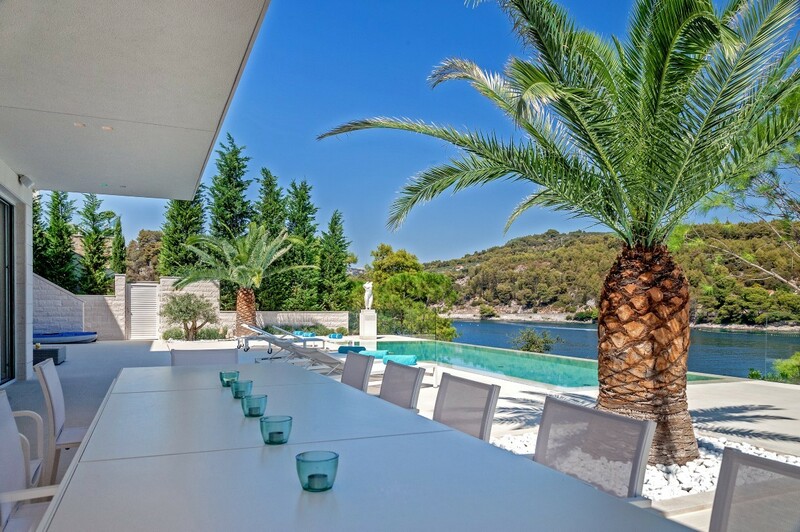 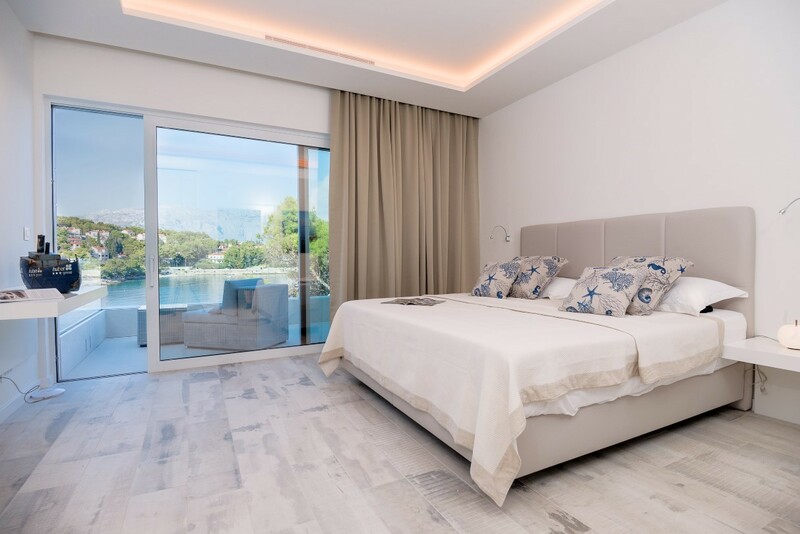 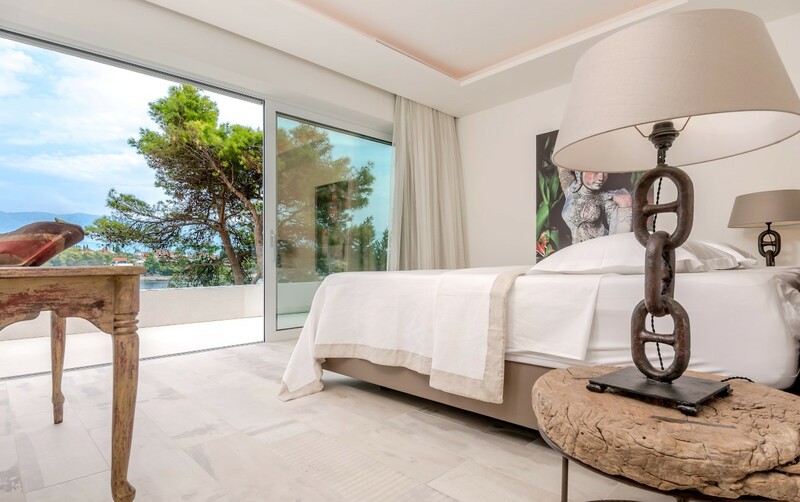 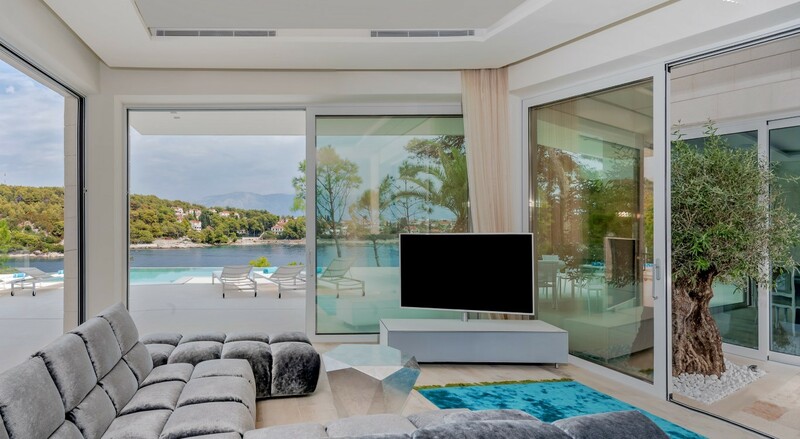 Visit and enjoy the island of Brač and the south of Croatia to the fullest and make this elegant Villa Mila your next Croatian vacation spot.